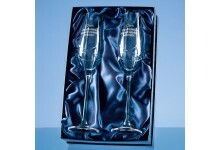 The Diamante Crystal champagne flute set would make an ideal engagement, wedding or anniversary g.. 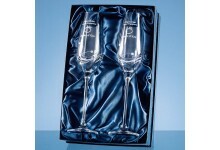 The Diamante champagne flute set would make an ideal engagement, wedding or anniversary gift. The.. 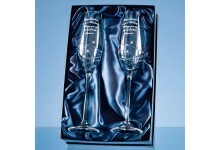 The champagne flutes have a kiss cut design with 2 Swarovski crystals bonded to the side of the f.. 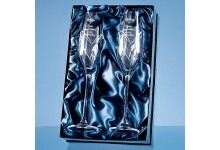 The Champagne flutes have a spiral design cutting with 3 Swarovski crystals bonded to the side of..